Public liability insurance covers claims for compensation from anyone not employed by your business who suffers an injury or who owns property that is damaged because of your business. A public insurance policy pays out on compensation claims, legal expenses and the cost of repairs. Public liability insurance is not required by law if you run a business. However, the risks in operating a business make it popular among business owners. The cost of each policy will be unique to what cover you want and a number of facts about your business, including the type of business, the industry, annual turnover, number of employees, size of the premises and the claim history. There are a number of general exclusions with public liability insurance. The key word is 'public' - if an incident affects the public, it's usually covered. If an incident affects you or an employee, it probably isn't covered. If you have an accident or incident, do not admit ANY blame or fault - if you do, your insurer may face challenges if and when they need to defend your case. Finding the right policy at the right price can be difficult - your business is unique, and so is its insurance needs. Risks to the public exist everywhere and many are not obvious. Public liability insurance cover provides much-needed protection against unforeseen costs, such as compensation and legal fees. With the help of MoneyHub, you can understand what you need and select a policy that perfectly matches your business needs and risks, meaning you will only pay for the cover you need. ​Does my business need to buy public liability insurance? 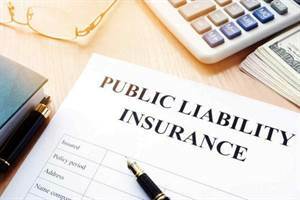 What will public liability insurance NOT cover? How can I compare public liability insurance policies? Public liability insurance covers claims for compensation from anyone not employed by your business who suffers an injury or who owns property that is damaged because of your business. This could be something as simple as a visitor to your business slipping on a wet floor, resulting in a spinal injury and a claim for compensation. It can also cover more serious compensation claims, such as construction accidents. A public liability policy will pay not only the compensation costs but also legal costs associated with any incidents. If your business has employees, contractors or representatives who come into contact with members of the public (either at their premises or yours), asking for a public liability insurance quote is a good idea. 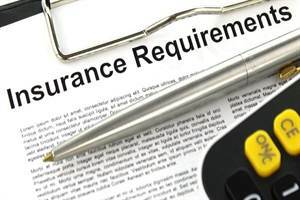 ​What does public liability insurance cover? Compensation claims - if your business causes injuries or damage to a third party's person and/or property, public liability insurance covers the costs of the claim. The incident does not need to happen on your business premises - it can happen at a customer's place of business (i.e. during construction, delivery etc) or elsewhere (i.e. on a road). Legal expenses - if your business faces legal expenses defending a compensation claim, public liability insurance can cover the cost of lawyer fees. Cost of repairs - a policy will pay for the costs incurred repairing the damage. 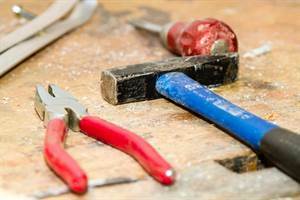 For example, if you are an electrician and do something in the ordinary course of business that causes a fire, public liability insurance will pay for the repairs. Does my business need to buy public liability insurance? Public liability insurance is not required by law if you run a business. However, the risks in operating a business make it popular among business owners. In some professions, specifically construction and trade, it may be difficult to trade without it as clients will demand you have a policy in place. A common situation will see a client stipulating that all bids for a construction project have 'up to ten million dollars of public liability insurance' or similar. Most government contracts also require businesses to have public liability cover. Without public liability insurance, a business runs the risk of being liable for damages. A plumber causing a flood may end up being pursued for $10,000; a restaurant causing a fire which damages neighbouring properties could cost millions. Even small incidents and accidents could severely stress the finances of a business. Public liability insurance is all about protecting against an unknown risk - if the risk is too great, a policy can be a good idea. As a general rule, the greater the risk, the higher the premium. If you are a large building business working on many projects at once with a number of permanent and contracted staff, you'll pay more for public liability insurance than a home-based accounting firm. There are a number of general exclusions with public liability insurance. The key word is 'public' - if an incident affects the public, it's usually covered. If an incident affects you or an employee, it probably isn't covered (employers' liability or general business insurance may be more appropriate). Some customer contracts will specify a minimum level of public liability cover; reading and understanding the fine print means you can buy the right insurance. A higher cover limit may mean a higher premium, but not having sufficient cover could put you in breach of your contract. Even if your clients don’t require cover, having a policy is attractive to other businesses looking for a supplier. 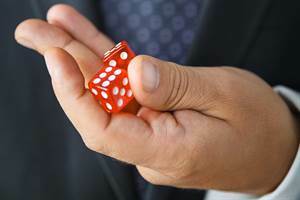 By stating, for example, that your business is "insured up to $10 million for public liability", you could win favour over those who are not insured. By educating employees and contractors about workplace safety, taking precautions and generally operating your business with safety as the primary focus, the chance of making a claim will decrease. As your risk lowers, in time what you pay for a policy will drop too. Your policy states what the excess will be, for example $500, $750 etc. Business owners will claim for any incident where the cost is above the excess. Before deciding on an excess amount, it's important to make sure your business could pay the excess without any financial difficulty or delay. Contact your insurer - explain your situation in detail as soon as you can; the insurer will be able to advise if you are covered and what to do next. If you are insured via a broker, contact them instead. Take action - it's critical to take every possible action to prevent a situation from getting worse; minimise the damage the best you can and call for medical assistance if it is needed. Do not admit ANY blame or fault - whatever has happened, it's essential that you don't admit any responsibility - if you do, your insurer may face challenges if and when they need to defend your case. Prevent the same incident from occurring again - organise a risk assessment, train staff in safety and security and seek consultation where necessary to lower the risk of any repeat incidents. Do you have an experience with public liability insurance that you would like to share? Email the MoneyHub team and help improve the way New Zealanders buy business insurance.